Have a friend who has a bad environmental habit but you don't feel comfortable in a direct confrontation? Or no matter how much you tried to drop the hint, the friend never seemed to get it? Or perhaps you're looking for a more fun filled way to help the environment? After all, most environmental campaigns just seem to tell you a certain dreadful message and sends you along the way, hoping that the fear or anger their message has instilled would compel you enough to action. Realizing that environmental campaigns don't always have to fall back to a same template, the folks at Thinking Cube, with partnership with the National Environmental Agency, came up with this interesting idea of "pranking" your friends, where you can call out your friend's bad habit and challenge them to adopt a new habit to better help the environment. 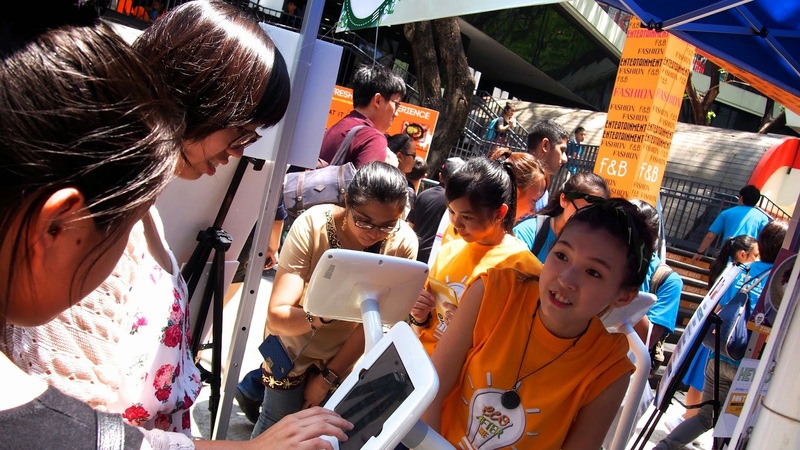 The organizers behind the campaign has successfully organized a roadshow last Saturday down at Scape to get passers by to "prank" their friends, which has been quite a success given the turnout and the number of people who participated. The organizers will be planning more roadshows to spread the awareness of the campaign too, and their next stop would be at the Singapore Polytechnic at the 23rd and 24th of April. 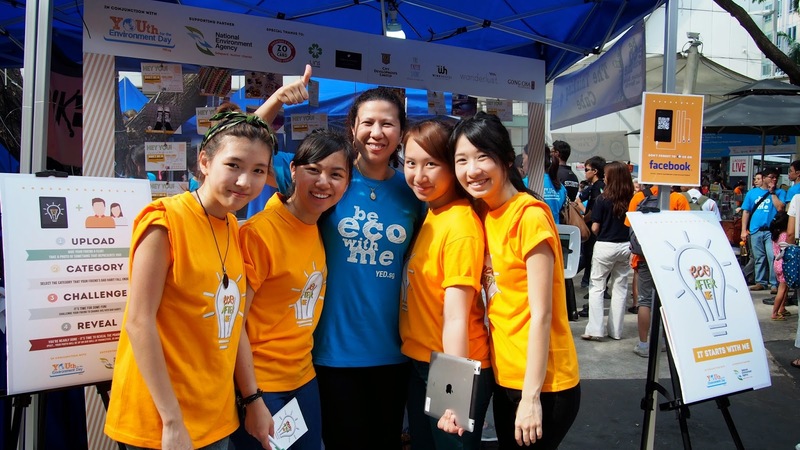 the eco girls be next be at singapore polytechnic! The mechanics of the campaign itself is simple, where you don't even need to leave your house to participate. 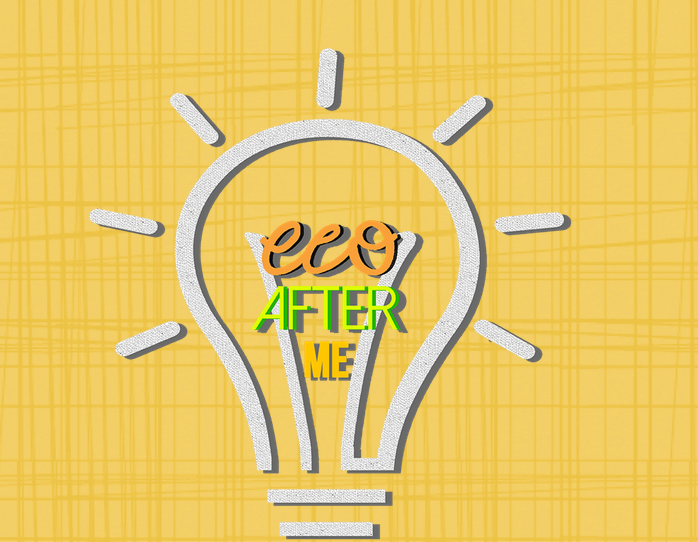 All you have to do is to head over to the Eco After Me website to begin your "prank". You start by inputting the details of the friend you want to prank as well as some details about yourselfs and voila, you're all done. Your friend will receive an anonymous email and postcard, in which he/she must head to the website to decode who sent it to him/her. For example you can call out your friend for wasting his food every time he goes out to eat, and challenging him to eat a lesser portion the next time you dine it. 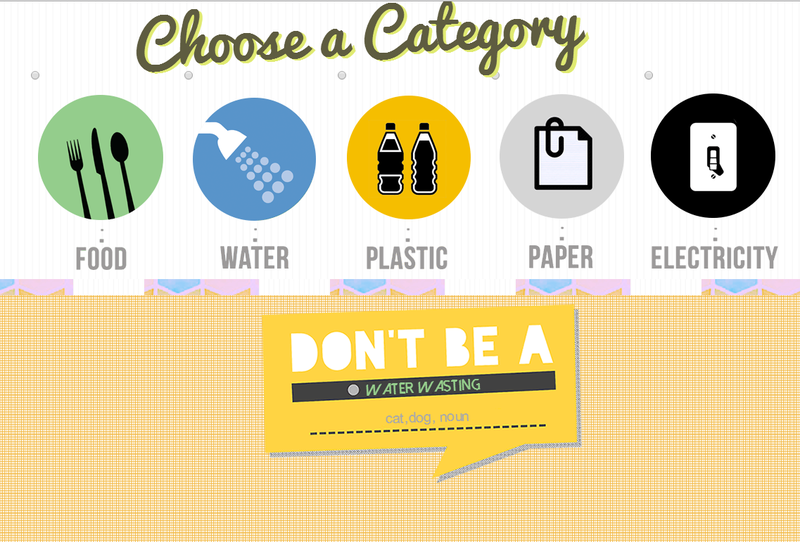 It can be really fun how depending on how you choose to do it, in addition to doing something good as well. You should definitely give the campaign a try, since it's easy and all, and who knows, you can even prank yourself into doing some good deed as well. For example I have decided to challenge myself to print double sided instead of single sided every time to save paper. The options are open to whatever you want.